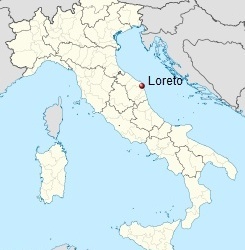 Loreto is a city with a population of 11,000 in the Italian region of Le Marche. The city is situated on the bank of the Musone river approximately three kilometers from the Adriatic Sea. 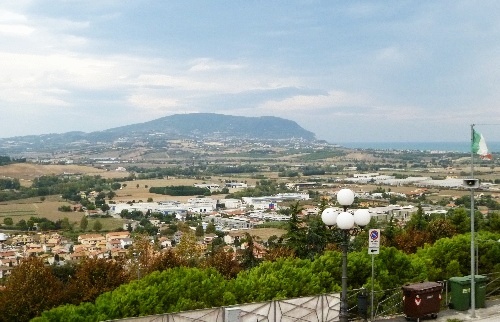 The region is hilly and has picturesque views of the valleys, the mountains and the sea. 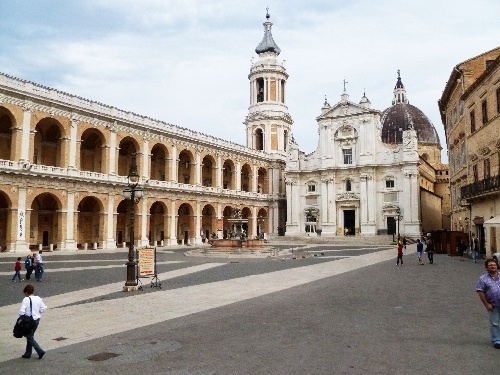 The main attraction in Loreto is a great Late Gothic basilica that encloses the Holy House where the Virgin Mary is supposed to have conceived and raised the young Jesus. 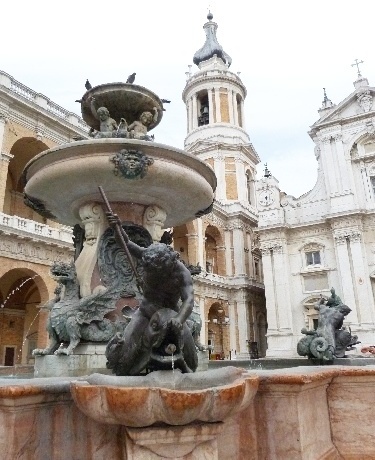 The basilica in Loreto has been a popular tourist destination and a Catholic pilgrimage site since the 14th century. Each year, approximately 4 million persons visit the site. The history of the sanctuary began in the 13th century (December 10, 1294) with the arrival of the house where the family of the Virgin Mary lived in Nazareth. 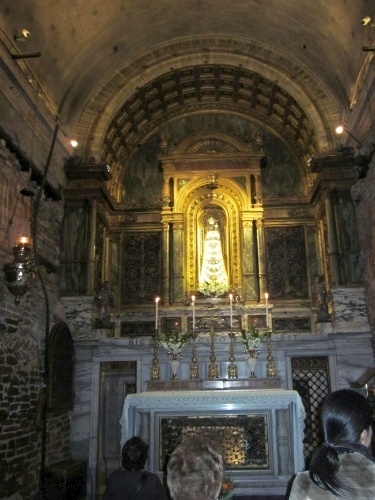 The relic was transported to Italy after the victory of the crusaders in the Holy Land. 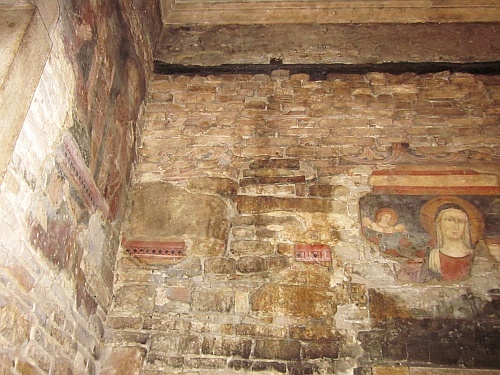 The Holy House, in its original state, consisted only of three walls because the part where the altar stands corresponded to the mouth of a cave in Nazareth, and therefore, did not exist as a wall. Only the lower three meters of the walls consist of sandstone traceable to Nazareth. The upper sections were added later of local building materials. 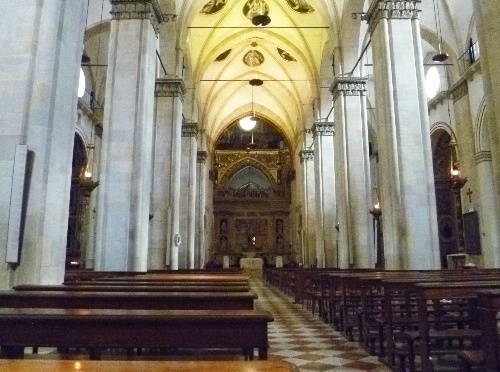 The Basilica was built around the Holy House of Loreto in 1469. 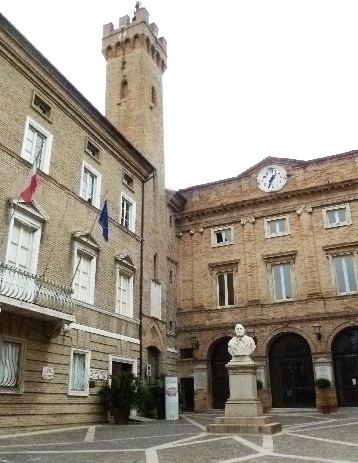 The façade of the church was erected under Sixtus V in 1586, and a bronze statue of his likeness is prominently displayed by the front steps. 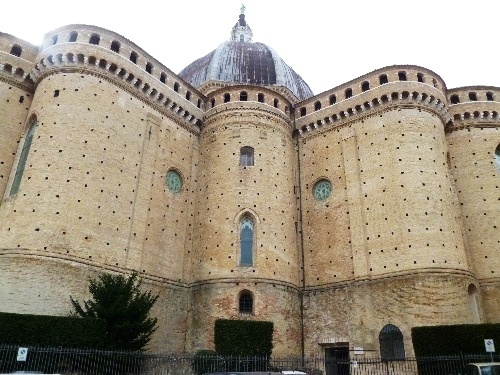 The Late Gothic architectural style of the basilica is particularly evident in the rear view which resembles more a fortified castle than a church. 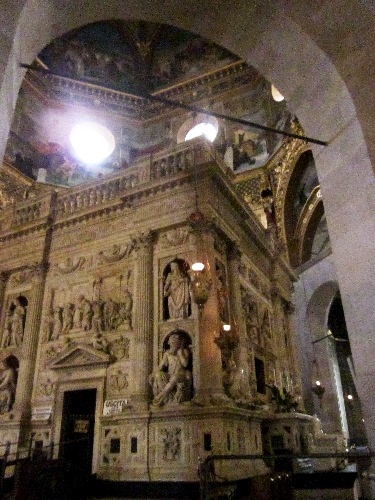 The marble enclosure around the Holy House inside the basilica was designed by Donato Bramante and executed under several popes, including Clement VII and Paul III. The bronze doors of the façade were cast by Girolamo Lombardo toward the end of the 16th century and the beginning of the 17th century under Pope Paul V. The baptismal fountain featuring John the Baptist baptizing Jesus was made by Tiburzio Vergelli who studied under Lombardo. 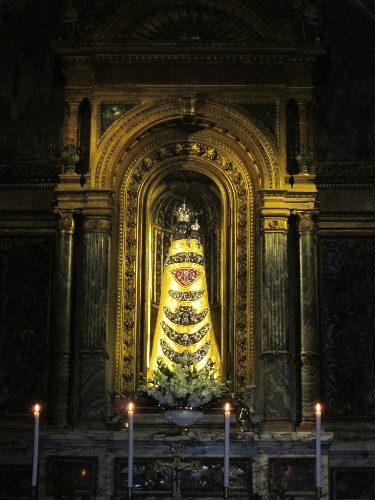 The statue of the Madonna of Loreto is carved from the wood of a Lebanon cedar that grew in the Vatican gardens. The statue replaces the one that was destroyed in a fire at the Holy House in 1921. 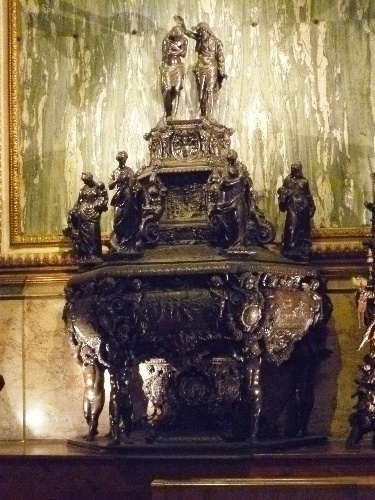 The carving was made under Pius XI in 1922 by Henry Quattrini and painted by Leopold Celani.